Webby for Good is a collaborative program formed by The Webby Awards and WP Engine to showcase Webby-recognized projects built to change the world. Describe your Webby-nominated project. What’s the elevator pitch? 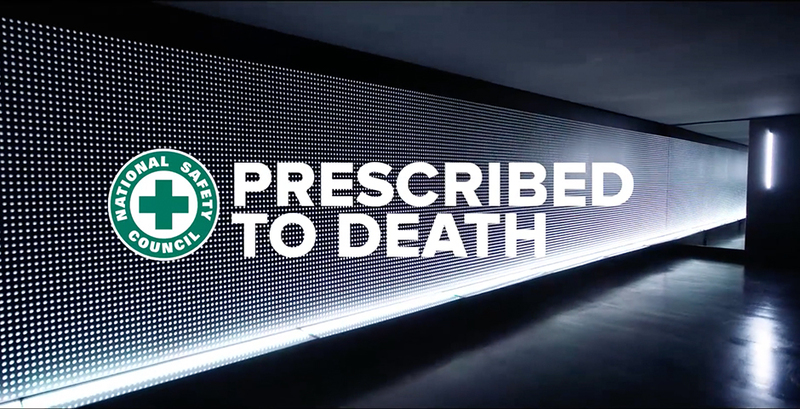 Prescribed to Death was created to humanize cold, unrelatable statistics, and bring people face-to-face with the opioid crisis. Only when confronted with real people lost to overdoses, do people understand their own vulnerability to addiction. In 2015, 22,000 Americans died from a prescription overdose. Research says that Americans know there’s an opioid overdose epidemic, but they think it’s only a problem for “addicts.” They don’t think it can happen to them and we wanted to set out to change that. It’s our problem as a nation and we have to face it together. What concerns were there about pursuing this idea? How did you get past them? The opioid epidemic is undeniably a complex problem, there’s no silver bullet. We had to be mindful of the subject matter and sensitive to people who have lost loved ones, but still create something impactful enough culturally to break through, or it all would have been for naught. What was the most rewarding aspect of working on your project? What did you learn in the process that you didn't know/expect going into it? One of the more rewarding aspects of the project was the positive response from those who have dealt with the loss of a loved one and the impact it had on those dealing with their own addiction. One of our goals is to de-stigmatize addiction, show that there’s a person and a story behind every statistic, and give tools like the “warn me” labels to people so they can protect themselves and their loved ones. We are providing two core tools to help the public. First is our “warn me” labels created to be placed on your insurance card, helping to start a dialogue about your prescriptions with your healthcare provider and pharmacist. Second is our partnership with Stericycle to provide free envelopes that can easily be used to return your unused medications and safely get them out of your house. Don’t flush them! They don’t belong in our water supply, nor our landfills. If you can’t find a place to return your opioids, this can help. One of the biggest a-ha moments was how prevalent and deep this problem goes. We saw how many people have lost loved ones, and sadly it’s not an uncommon story. We have a rotating board of names in the memorial along with a website that the general public can submit their loved one’s names to memorialize them, which has been a wonderfully therapeutic and cathartic thing. Was the tech/medium you chose crucial to conveying your message? If so, why? We created a physical experience, intentionally designed to confront you with the size and scale of the problem while also being visually interesting enough to generate media conversation. Like any large problem there’s a lot of complexity, but when you get up close and see the faces of the actual victims, you can see it’s affecting real everyday people from all walks of life. We also had a CNC machine on-site that carves a new pill every 24 minutes, the exact frequency that someone dies from an opioid overdose. This entire project was designed to inject humanity into cold stats and make it deeply personal. What was the most significant challenge that arose during your work on this? Creating 22,000 pills with faces that accurately represent the opioid crisis and the dynamics of its demographics was a massive undertaking, and to do it in a way that is visually impactful enough to get attention on such an important cause... The subject matter is intense and we worked tirelessly to make sure we were respectful but still impactful. How will you use technology in future work to create inspiring, cutting-edge projects that also make a difference in people’s lives? Technology is just technology until you run it through a cultural and human lens. When you look at people and what’s happening in culture you can find something meaningful and then apply technology to it to create something completely unexpected, that’s when the magic happens.